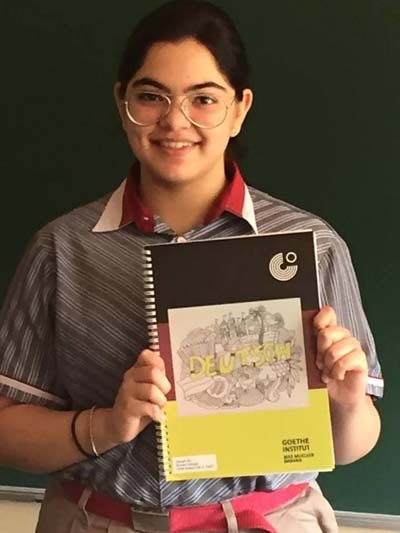 This can be rightly quoted for Ms. Ruhani Sehgal of class X F, KRMWS GK II, who has designed the Notebook Cover Page for Goethe Institute / Max Mueller Bhavan. She displayed exemplary artistic skills and covered all the important aspects of Germany in her design. We wish her all the best and many more laurels for the future!